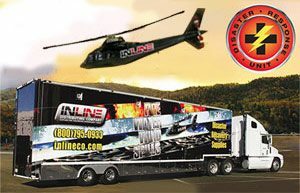 The Andretti-Green Racing LMP2 entry sponsored by XM Satellite Radio. 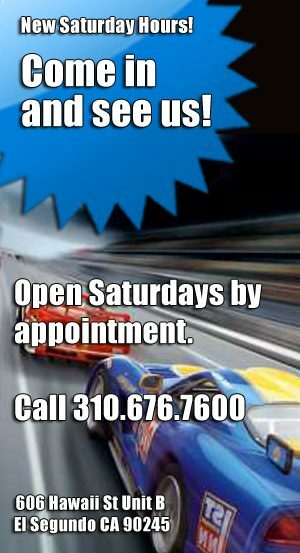 Two new classic Indy Roadsters raced by the most popular drivers are here from the Slot-Indy division of Ostorero. They are only making 120 so you will want to order yours now. Hand-made cast-resin cars with photoetched metal chassis. Complete with the wood base and the brickyard strip. The Simoniz Special # 16 Watson Roadster was driven at the 1959 Indy 500 by Jim Rathmann, he was third on the starting grid and finished second after a long battle with Rodger Ward. A little curiosity, the Watson did not have the rear bumper in 1959. The Bryant Special # 8 was driven by Len Sutton. He was eighth on the starting grid in the 1962 Indy 500 but he had to retire in the race due to a clutch problem. 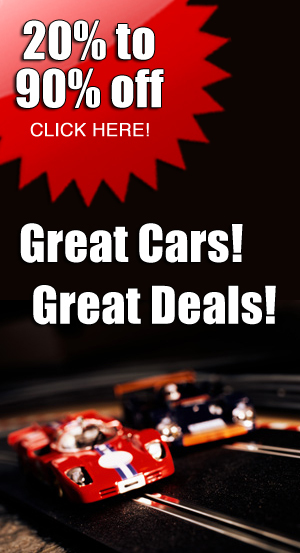 The real car from 1961 was recently restored and auctioned by Sotheby’s, reaching €570,000. 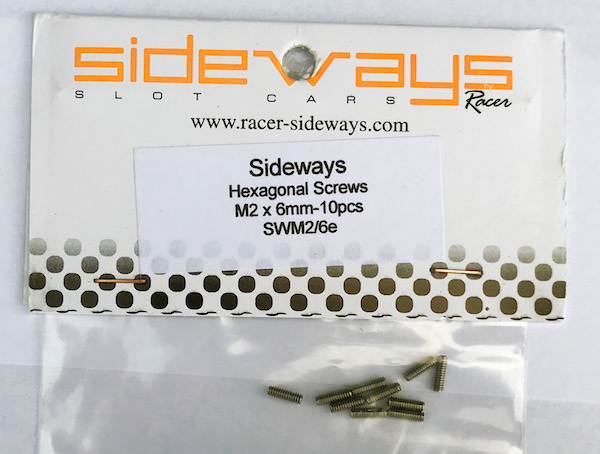 We ordered some special screws from Sideways so you can tune-up any of their chassis. The small Allen head screws are needed to control the front axle’s up and down movement to adjust the depth of the pickup blade in the slot (the “Ride Height”). The brass screws will be needed if you want to install the add-on plastic blocks that are included with new Sideways Huracan chassis to stiffen it. These small Allen head screws are needed to control the front axle’s up and down movement to adjust the depth of the pickup blade in the slot (the “Ride Height”). 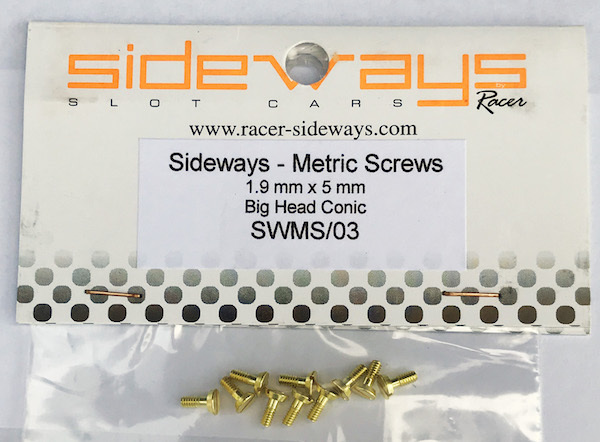 These brass screws will be needed if you want to install the add-on plastic blocks that are included with new Sideways Huracan chassis to stiffen it. The Bugatti Atlantic is one of the top two most coveted classics. You can have your own 1/32 scale hand-made cast-resin and etched-metal replica from MMK in a choice of silver, maroon or dark blue. 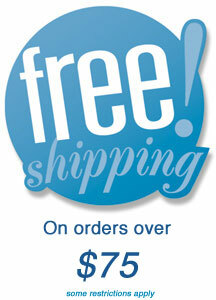 We were only able to obtain a few so pre-order yours now. 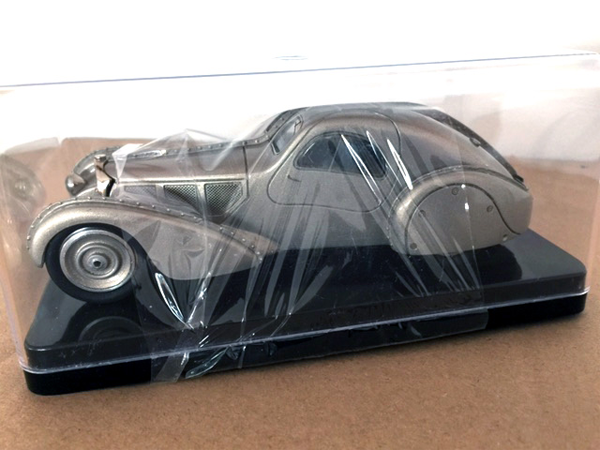 MMK MSL03S Bugatti Atlantic, silver—PRE-ORDER NOW! 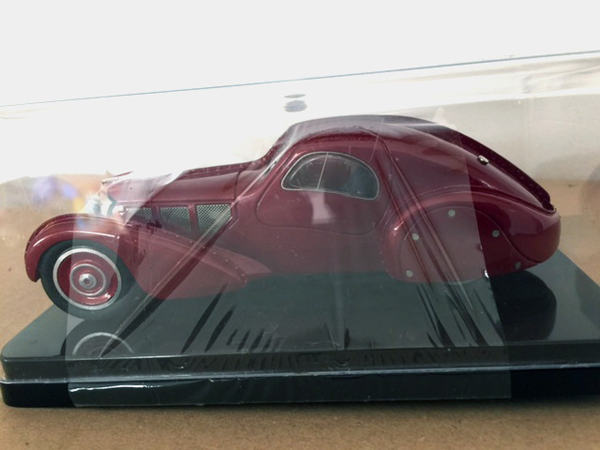 MMK MSL03M Bugatti Atlantic, maroon—PRE-ORDER NOW! 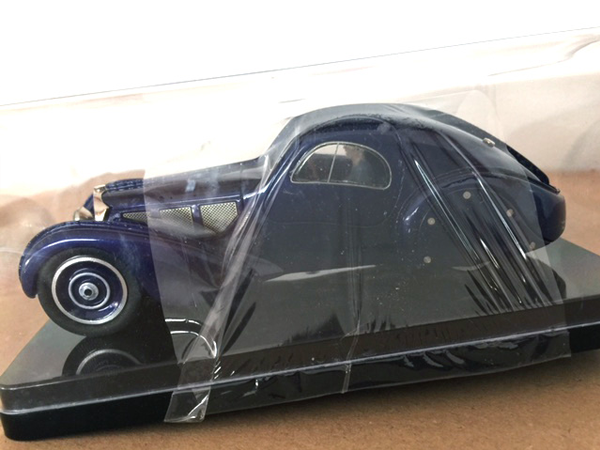 MMK MSL03BD Bugatti Atlantic, dark blue—PRE-ORDER NOW!